Diatest EG series gear gauges are easy to use and setup by the operator. They are supplied with a bench stand or can be used handheld. The counter lever is easy to use whilst holding parts to be measured. 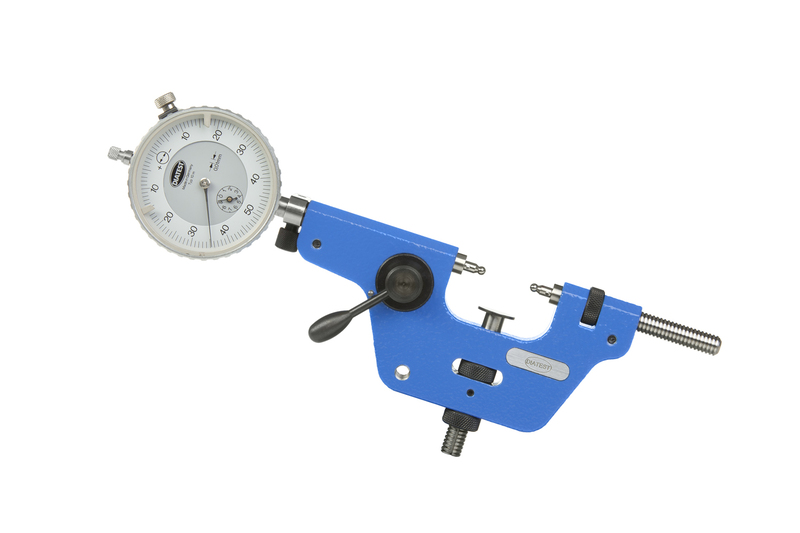 Contact styles of ball diameter or parallel bar can be made to your exact size specifications at time of ordering. These can be made free floating/rotating based on a bar extension design making them easy to replace.